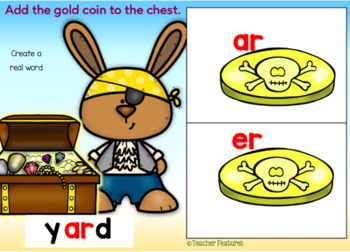 BOOM CARDS PHONICS | R-controlled Vowels | Bossy R | Assess BOSSY R spelling knowledge with these Pirate Animals. Identify the correct R-controlled vowel spellings, as defined in 2nd & 3rd grade CCSS. 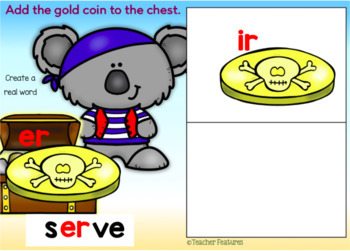 Interactive Boom Cards digital task cards full of movable gold coins for students to manipulate, then type the correct R-controlled vowel spelling. This Boom Card deck contains 50 cards. 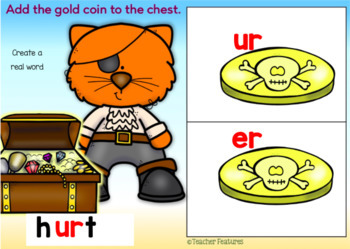 Spelling focus: AR, ER, IR, OR and UR. Perfect as a literacy or word work center, review or enrichment. Ideal for individual work or literacy centers- an easy way for teachers to assess mastery of word, spelling and vocabulary skills. 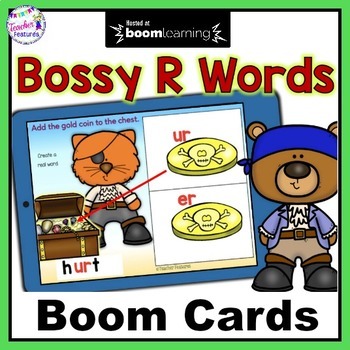 You can even use these Boom Cards with your interactive whiteboard, tablets or laptops! 1. Click on the green box marked “Create” on the BOOM Learning site. 3. Set up an email and password for your FREE BOOM Learning account. 4. Your BOOM Cards will be stored for you in the “Library” on the top blue bar.